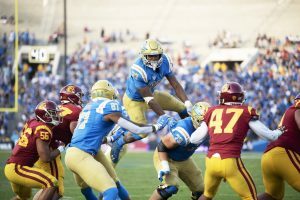 Fellow Bruins and Trojans gathered at the Rose Bowl on November 17th for the highly anticipated UCLA vs USC football game. We all know the best school came out on top, therefore it’s only necessary, that we look deeply into the #Facts regarding both schools and uncover evidence that will clearly show who runs LA. Couldn’t become a Bruin? I mean I guess there’s another school. 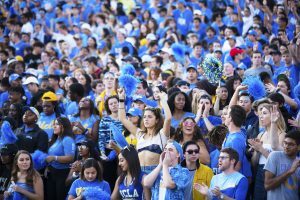 USC students secretly wanted to bleed blue and yellow, hear the 8-clap echo in Paulley, and experience the full force of The Den. With over 100,000 undergraduate applicants a year and climbing, the bruin experience is a selective one. So some had to hide their bears, return their hats and learn to be okay with throwing up the peace sign in every instagram photo. 50,000 vs 13,0000. Nuff said. What could you do with 50,00 dollars? Through the act of googling, I have discovered that you can buy the following: A new BMW 3 series, a small private plane, or 33,333 Costco hot dogs. US News ranked USC in the nations top 10 most expensive private school in America. 50,000 at USC will get you only an education of the #37 best value college. I think the hot dogs are a better deal. 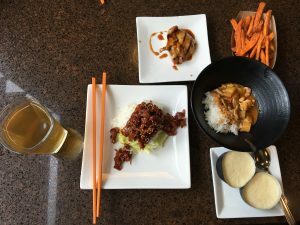 Dinning at UCLA is anything but ordinary. 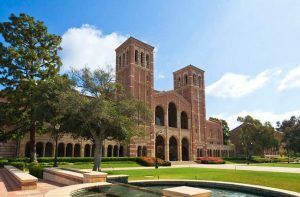 According to Niche , UCLA is ranked as the second best college food in America as of 2019. You can have Italian gelato, Vietnamese pho, and a steak dinner in a day’s worth of food by only using 3 swipes. 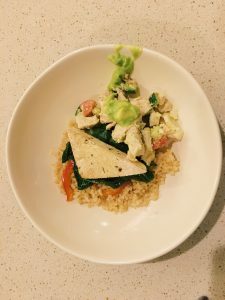 Avocado-fest, breakfast for dinner, Dim Sum night, are not themes you will see at just any generic dinning halls. Ask someone at USC if their almond cashew butter is made fresh daily, or how many toppings are allowed on their build your own pizza. Fact #5: A Trojan is only only good once. Let’s be honest with ourselves, does any one actually buy Trojans anymore? They are over hyped, untrustworthy, and just too expensive for their subpar performance. I guess Trojans aren’t even good once. In conclusion: After compiling this extensive research and high quality factual evidence, I allow for everyone to make their own deductions as to which college reigns superior- Though it’s been clear to me since 1919. 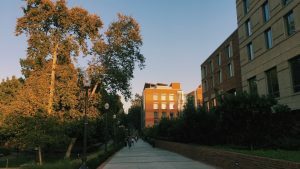 Featured image by Amy Dixon, Daily Bruin.